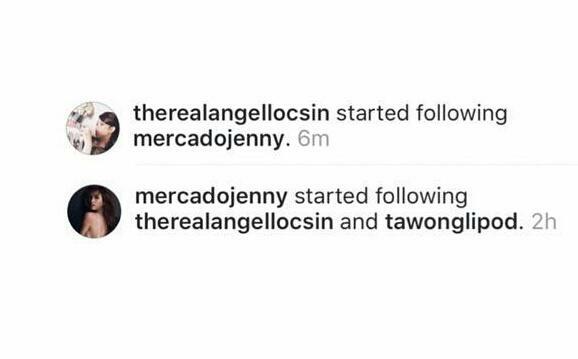 LOOK: Jennylyn Mercado and Angel Locsin follow each other on Instagram! Netizens quickly took notice that Jennylyn Mercado started following Angel Locsin on Instagram Sunday afternoon. And shortly after, the Kapamilya star followed back the Ultimate Star. It can be recalled that the two top leading ladies were once together in the management of Becky Aguila until Angel and Becky parted ways a few years back. Jennylyn and Angel also co-starred in the GMA Films romantic comedy flick Let The Love Begin alongside Richard Gutierrez and Mark Herras. 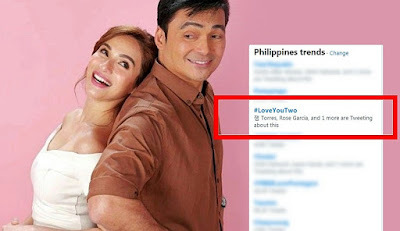 Both award winning actresses were also once linked to Kapamilya host Luis Manzano. Many of their followers got excited with the fact that they're now following each other on social media and many of them are hoping that the two would soon work on a project together, A movie perhaps? At present, Jennylyn and Angel are both brand ambassadors of Avon Philippines.